Even though actual teams are playing actual matches in Major League Soccer, anytime David Beckham’s still-imaginary team in Miami makes any waves, it instantly becomes the front page news around the league. 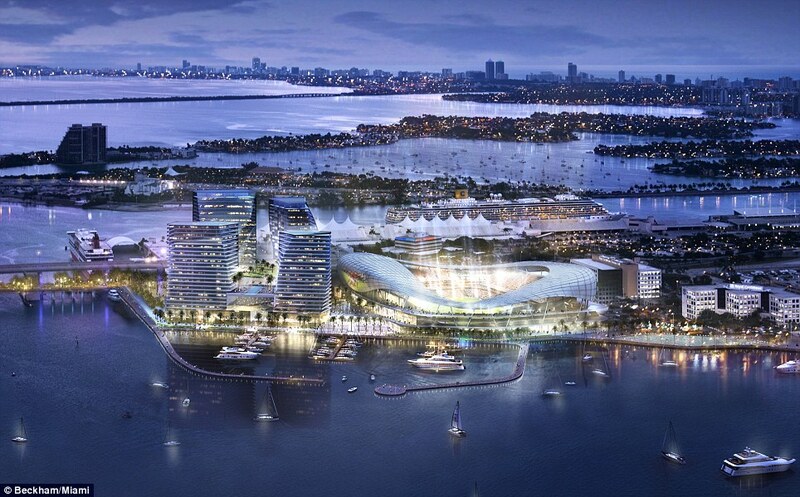 And things were no different when the Daily Mail published what are supposedly the initial renderings of Team Beckham’s stadium at the highly desired but likely difficult-to-acquire Port of Miami site. And to be fair, if they are able to pull it off, this stadium will easily be one of the best in MLS. The 25,000 all-seated stadium offers views of the city skyline and port — designed by Miami’s Arquitectonica and 360 Architecture of Kansas City — also features an adjacent plaza that will house restaurants, retail space, and predictably a night club for Becks to fraternize with fellow celebrity friends. But as mentioned before, whether or not Beckham and the league will be able to secure the space in the port remains to be seen. Opposition ranging from Royal Caribbean cruise line and city officials, not to mention a hefty price tag, currently stand in the way of the deal being done. But I’m hoping they’re able to pull it off, if for no other reason than it give me an excuse to check it out for my MLS Stadium Guide project!